Sunday 4 December 2016 St Machar's Cathedral 7:45 p.m. The first event of the 60th season since Aberdeen Bach Choir was reconstituted in 1956 brought an outstanding quartet of soloists to St Machar's Cathedral for what proved to be an outstanding performance of Bach's last major work. 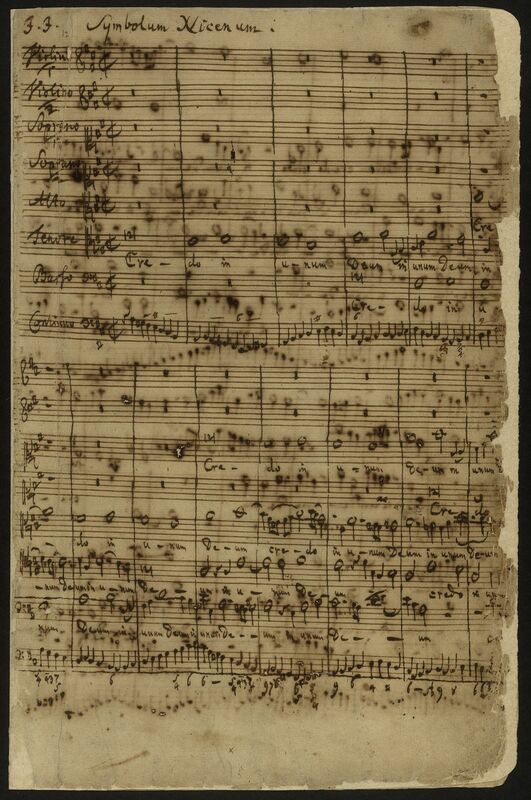 Written in Leipzig in 1749, a year before Bach died, the Mass in B Minor is a mature reworking of some earlier passages of music along with some newly composed material. It was unusual for Lutheran composers to make full Latin settings of the mass and C.P.E Bach catalogued it in Bach’s archive as “the Great Catholic Mass”. The work was never performed during Bach’s lifetime, the first documented performance being in Dresden in 1859, over a century after its completion.